Straight from your Measuring Head to your Laptop or PC with no cables. 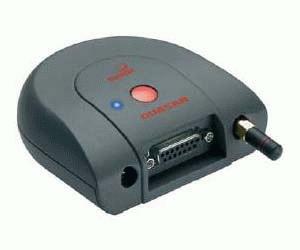 The Ophir Quasar module provides two ways to use your Ophir smart head as a remote laser power/energy meter allowing optimum placement of the head and separate optimum placement of your PC or laptop with no connecting cables. The system is provided complete with a USB port Bluetooth adapter for your PC/laptop and the Ophir USBI software. The stand alone Quasar module can connect to any Ophir smart head, thermal, photodiode or pyroelectric. For most thermal heads, there is also an option to purchase the head with the Quasar module mounted to the head for maximum portability with no wires at all.